James is a Director/Cinematographer and co-owner of Blue Field Productions with over 30 years of experience in theatrical, documentary, commercial, promotional and educational programs in both film and digital. He recently directed a 12 part narrative series set in 1st century Palestine and was the cinematographer on Brace for Impact: The Sully Sullenberger Story for TLC. 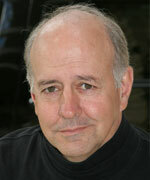 James’ projects have won numerous awards including an emmy for the documentary “No Greater Love”. He also directed and his wife co-produced the award winning short film “MAX” which won best short film in five festivals and also won an Emerging Cinematographer Award from the International Cinematographer Guild. 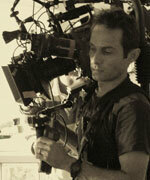 James has taught Cinematography at the USC School of Cinematic Arts for over ten years. Examples of his work can be found at jameswokeeffe.com. Dawn is co-owner of Blue Field Productions working as a producer. She is the mother of four children all of whom have attended public school in Pasadena. 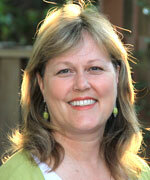 She is on the board of the Pasadena Educational Foundation and is a founding member of Invest in PUSD Kids. She received her B.A. in English Literature and Business/Economics from Westmont College with additional training in production from Stanford University. Mary Trunk has been making experimental and documentary films for over twenty years. Her feature length documentary The Watershed screened at over 30 film festivals around the world and garnered more than ten Best Documentary and Special Jury Awards. Plain Art her most recently completed documentary received a Durfee Foundation grant and won the prestigious Ruth Landfield Award at the Fargo Film Festival. Mary’s work also includes producing and directing a fundraising video for the Arroyo Arts Collective in North East Los Angeles and an educational documentary about teaching Suzuki violin to public school children. Her newest documentary Lost in Living is in post-production. Mary received her MFA in Film at the San Francisco Art Institute and taught there for three years. She teaches documentary film production in Pasadena and has been a guest lecturer at Art Center College of Design in Pasadena, Loyola Marymount University in Los Angeles and Moorhead University in Minnesota. 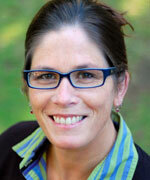 Mary is a co-founder of the production company Ma and Pa Films. Paul Sanchez has been working in the motion picture industry for over 16 years. His work as Director of Photography include Michael Jackson’s This Is It, No God No Master, (soon to be released) and Heavens Fall. Paul has provided additional and second unit photography for Drag Me to Hell, 3:10 to Yuma, Lucky You, and Identity. He has worked closely with teams from Industrial Light and Magic and Dreamworks to provide visual effects for many films. His camera operating talents can be seen in Spider Man 3, Walk the Line, Sideways, Pirates of the Carribbean, among others. He has worked with such Directors as Sam Raimi, Wim Wenders, Francis Ford Coppola, James Mangold and Alexander Payne. Paul co-produced and co-edited the award winning documentary The Watershed with his wife Mary Trunk and is co-founder of their production company, Ma and Pa Films.